Clayco Sports: Clay Center, KS under the trunnion (left side). 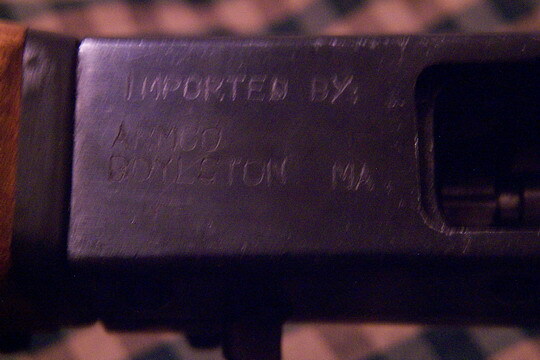 Also note the front sight on these are of the open variety, not closed. Serial numbers usually are just a standard six digit type. Although bluing on the new guns is deep and rich, it wears very easily. These guns are rumored to have been manufactured as close to Chinese military guns as possible. These guns were featured in the September1984 (pgs42~45) Edition of Soldier of Fortune Magazine. These were ca. late 83~84 before the deluge of Norincos and Polys. 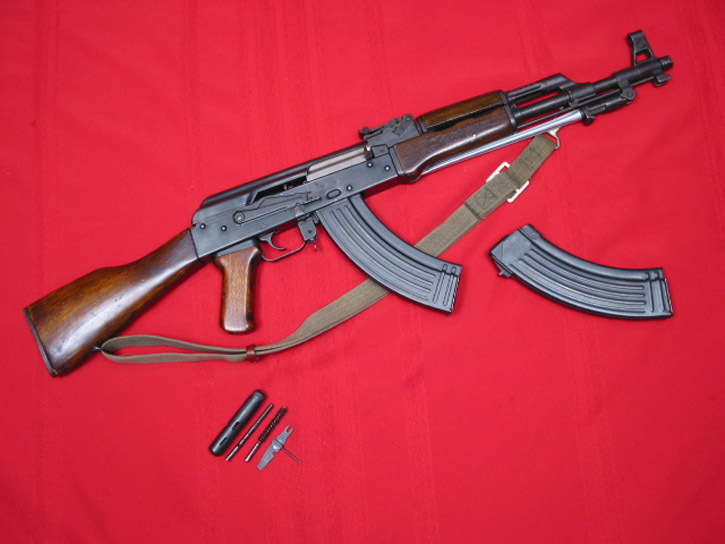 They sported a matching detachable AKM style bayonet. Note: The first two sentences of Page 2 of the Clayco Owners Manual shows the Norinco symbol at the top of the page: "We are proud that you have chosen a CLAYCO SPORTS firearm. 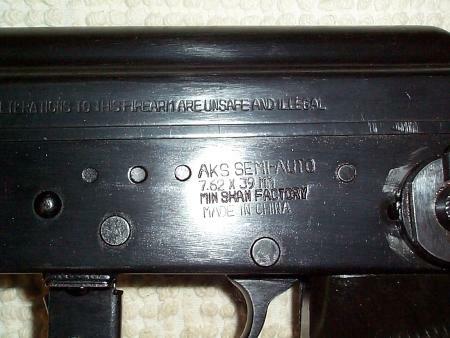 This firearm is manufactured by China North Industries Corporation (NORINCO), a comprehensive state enterprise combining manufacturing and trade, and an independent economic corporate body operating under the guidance of the government departments concerned." GLNIC: Was a company incorporated in Los Angeles, California in May of 1986. They were reportedly an import company owned exclusively by the PLA. Guangdon Lingnan Ind. Corp GLNIC LA CA is "GLNIC Corporation of America", a company based in California, but owned by the People's Liberation Army of China. GLNIC may stand for "Guangdon Lingnan Ind. Corp." or "Guangdon Lingnan Import Company". 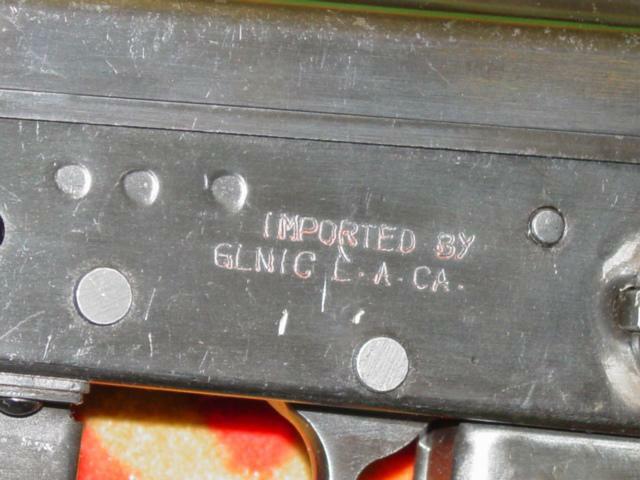 The letters "CGA" may be stamped on the trunnion ahead of the serial number on early-import GLNIC AK47S rifles, and it appears that CGA was the exporter for pre-1989 GLNIC-imported AK47S and SKS rifles (later rifles were exported by Norinco). D.I.G: Dominion Investment Group in Virginia Beach, Virginia was a group headed by a gentleman who was actually an Attorney-at-Law. A number of years ago he passed away from a heart attack, and people assisted his wife in continuing the business by partnering with Intrac. Together they formed Intrac/Dominion Importing for these rifles. 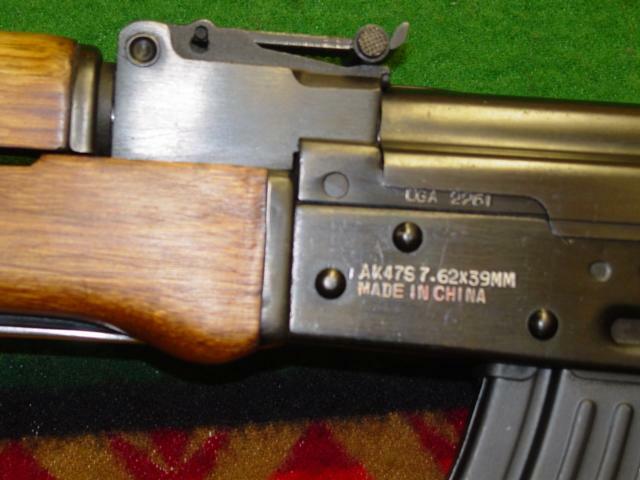 C.J.A: China Jing-An, Which was an importer that went out of business when they got busted by Alcohol, Tobacco, and Firearms (ATF) for Importing some Full-Auto Korean AKs and trying to sell them to the general public. They were a company owned and controlled by Central Military Commission (People’s Armed Police) in charge of internal security and riot control. CJA was also in charge of Jing-An Equipment Import-Export (CJA EQUIP.) trading in small arms, riot control, and security equipment. Additionally, they were in charge of CHINA ANHUA DEVELOPMENT, which operates about 70 enterprises. "China Jing An" or "Jing An China". Most China Jing An goods are not marked as such, whereas PROCHINE exports are clearly marked "PROCHINE CORP". 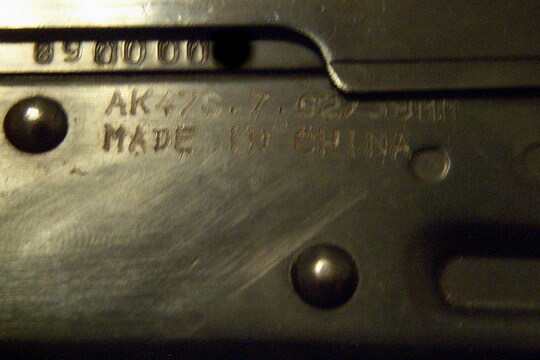 All Chinese "manufacturers" of semi-auto Kalashnikov type rifles were little more than exportation fronts set up by the Chinese government. As an example, China Jing An is owned by the People's Armed Police, and Polytech is controlled by the People's Liberation Army. SILE: They were incorporated in addition to distributing a wide variety of firearms and related accessories (including the manufacturing of stocks and grips). IA CO: Was located in Sacramento, California and incorporated in May 1986. All examples seen were from factory 66. Pacific International: Was incorporated in December 1985. Keng’s Firearms Specialties (KFS)Atlanta Georgia: Was responsible for importing some of the most popular Kalashnikov Rifles. KFS guns had very desirable features that differed from other standard imports. A spring loaded firing pin, larger checkered pistol grip, along with an overall better fit /finish on wood and metal made this one of the most sought after rifles. These upgrades were suggestions by Peter Kokalis, in an article written by him for SOF magazine. These were manufactured in factory /416\ (early), and (386) (late). B-West: B-West imported weapons as well as manufactured weapons from parts kits. 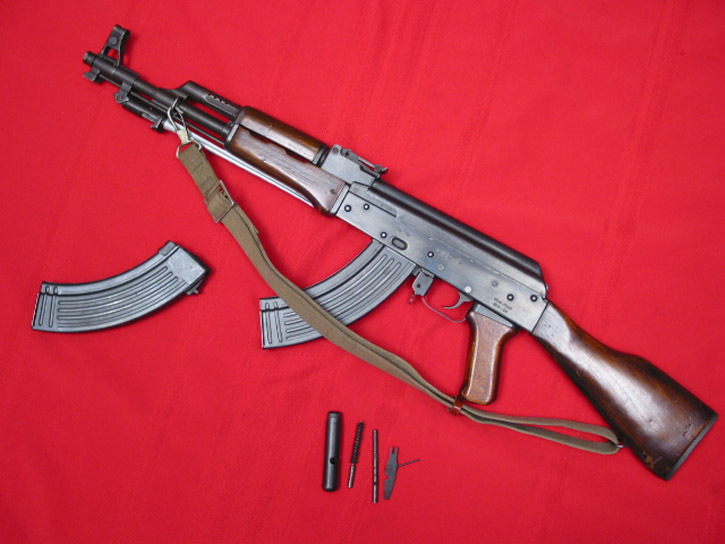 Their imported weapons are perfectly made as they're Norinco or other Chinese arsenal weapons. Their receivers are ones to avoid. 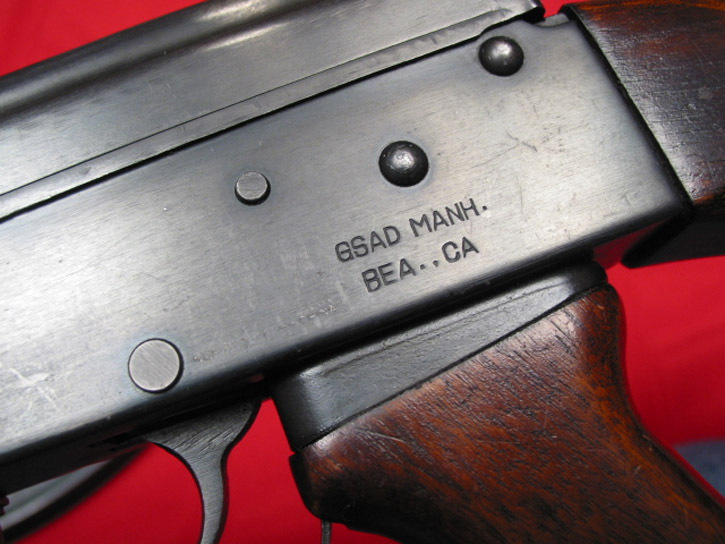 They didn't heat treat the guide rails in the receiver, causing much deformation after as little as 2000 rounds. Be sure you're looking at a B-West import and not B-West manufactured guns before you buy.